Article #1 - Thoughts on writing essays. 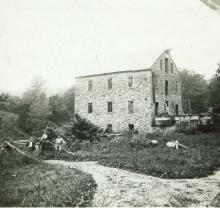 WJ Pratt's custom feed mill at Pocopson stood where the current Brandywine Ace hardware store is today. It was originally constructed in 1906 as a milk receiving station for the Supplee Brothers of Philadelphia. 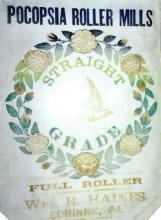 Local farmers would deliver milk in steel cans to the depot to be held in cold storage until the daily train would pick up the goods and transport them to Philadelphia. A creamery was added which would convert the milk to butter which allowed the local farmers an additional outlet for their dairy products. The modern reader may well puzzle over the fact that the creek running through much of the township was named after the Indian word pocaupsing, meaning “roaring waters,” because much of today’s Pocopson Creek drifts lazily through the countryside. Nonetheless, during the township’s history, Pocopson Creek provided power for a number of grain and sawmills—starting in the early 1700’s, when Joseph Taylor built a mill there. 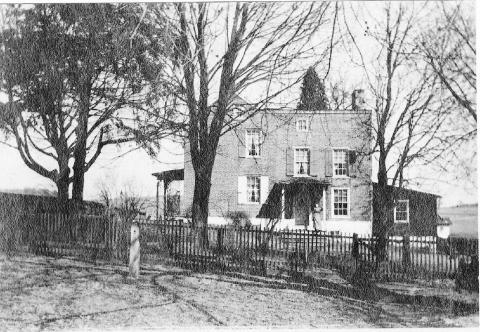 Abner Haines had a grist and sawmill on Haines Mill Road; In 1884, the Mill burned down, apparently because Mr. Henry Haines built a wood fire in the office stove to ward off the chill. The chimney caught fire and the property was destroyed. 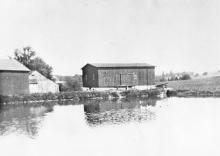 Marshall's grain and sawmill was shown on Northbrook Road at the West Branch of the Brandywine, still within the Pocopson boundaries. However, in 1889, Marshall’s Mill was burned. It was described as a stone structure built in 1796, three stories high and measuring 50 by 80 feet. Help us make this website better! Do you have stories, photographs, maps or other historical information about the Locust Grove Schoolhouse or Pocopson Township? We want to hear from you! Sharing your information can help young people learn about the rich history of Pocopson Township. 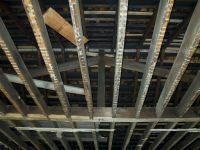 Check out the latest updates on the restoration of the Schoolhouse. Our meetings are held on 2nd Wednesday of each month at 7:30 p.m at the township building. Click here for more information.